My daughter, Lauren, lives in Wichita. We often go to World Market when we visit her. I always find something I "have to have." 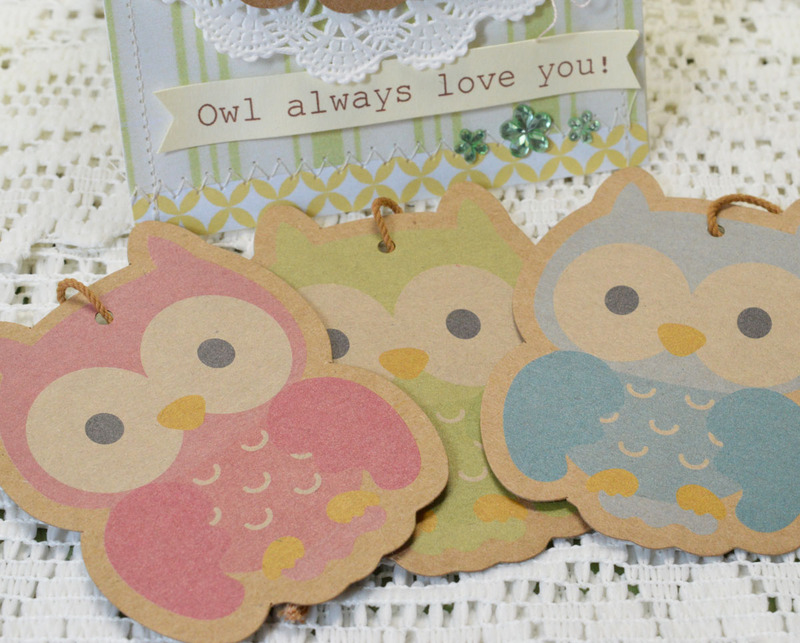 One of the things I picked up were these darling owl tags. Aren't they cute? They also make cute cards. 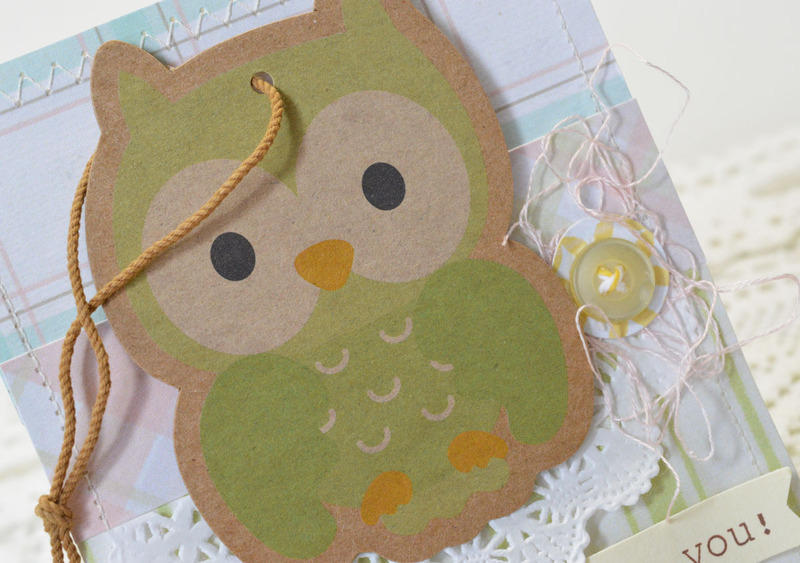 What could be easier than to pop a cute owl on top of some cute papers? Love that World Market! By the way, if you like Gingersnap Cookies, THESE (from World Market) are awesome! Well sweet lady, Owl always love you too. Cute owls made very cute cards. 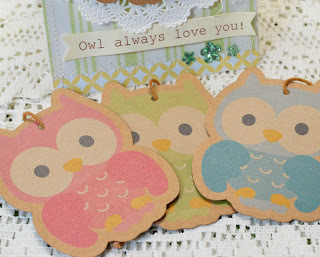 These owl tags are darling, Lori! They have a great vintage feel, love your use of them on your card, so pretty. Must say, that World Market sounds good! 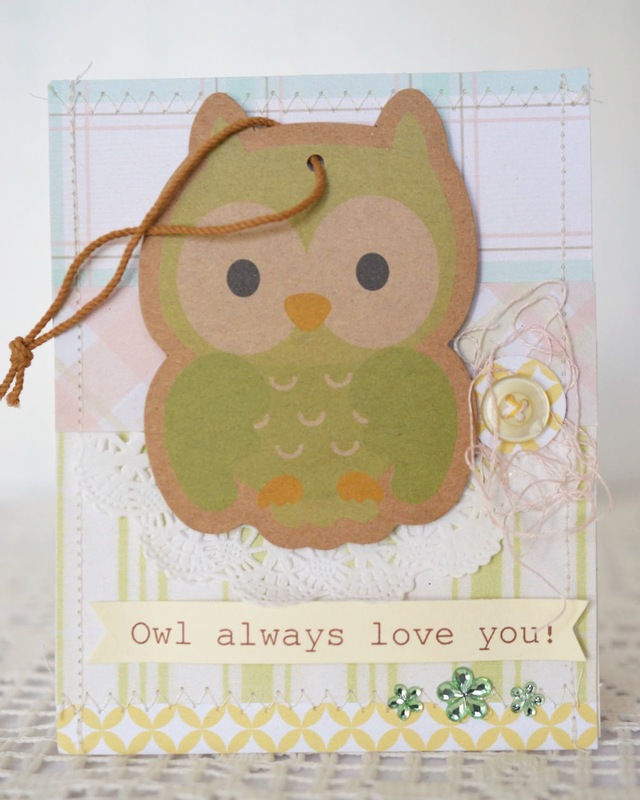 Hi there Lori.I so love card and these adorable owls. I spotted them on MIM.Fantastic!!! !